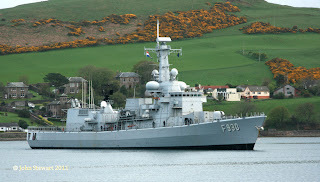 The scale of the Vanguard class submarines must be seen to be appreciated 18 April 2011! 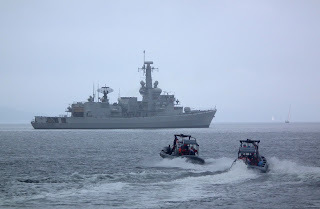 Karel Doorman class frigate HNLMS Van Amstel arrived back from JW 15 April 2011. 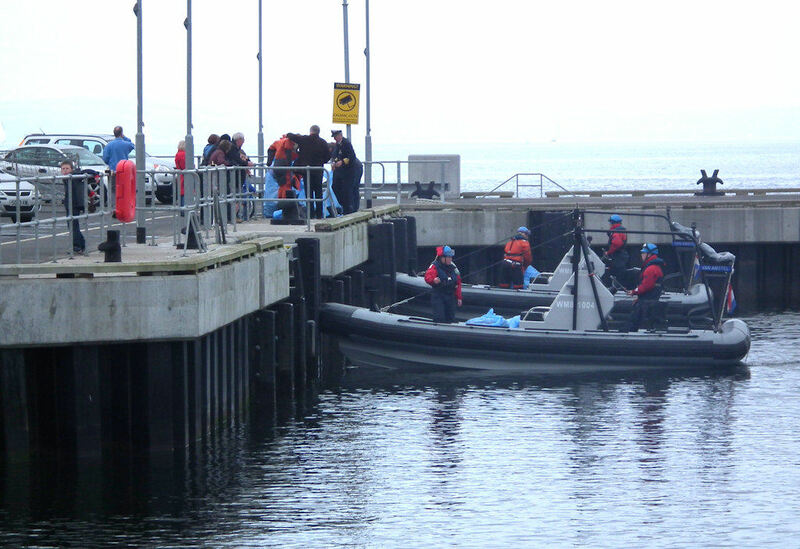 RIB were launched to uplift VIP's from Largs Pier. I take it that the Captain joining the vessel was in a hurry, as the two RIB almost collided in transit. Van Amstel then spent a few hours annoying the yachting fraternity by making fast 180 degree turns off the Skellmorlie Bank!